Alan Burns was a fanatic about detail. He also had huge patience, taking a great many hours to create his illustrations. He was a graphic designer, but who also worked for Monotype as a font designer for a period. 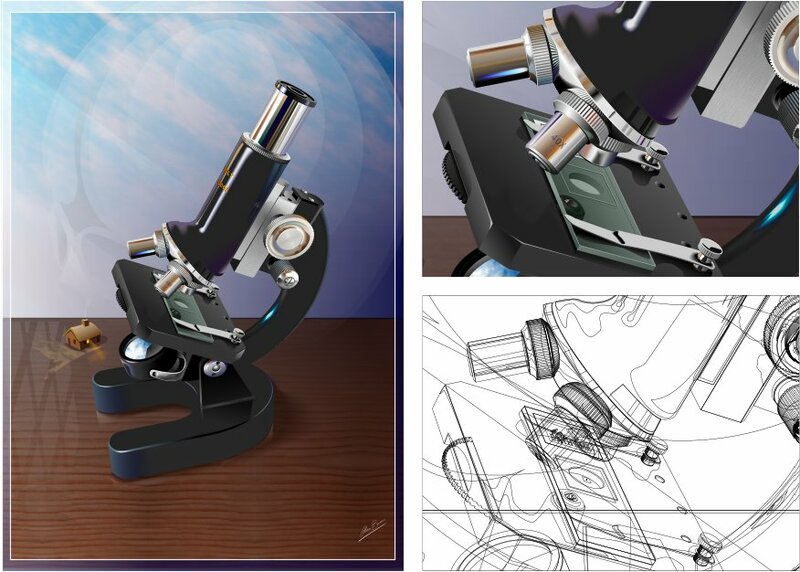 He was what you might call a pure technical illustrator, in that his images were very detailed, photo realistic, of a highly technical nature, but great pieces of artwork nonetheless. Most of his drawings were created in the earliest days of Xara, before many of the modern tools such as the Feather control, or even the Soft Shadow tool, existed, which make it much easier now to create photo-realistic airbrush style images. Most of his images had some humorous aspect to them - he took advantage of the huge resolution possible in Xara drawings to embed ridiculously small detail that was only visible at maximum zoom. The girl in the bath on the Microscope slide is well known, but there are also hidden images buried in other drawings such as the pocket watch. 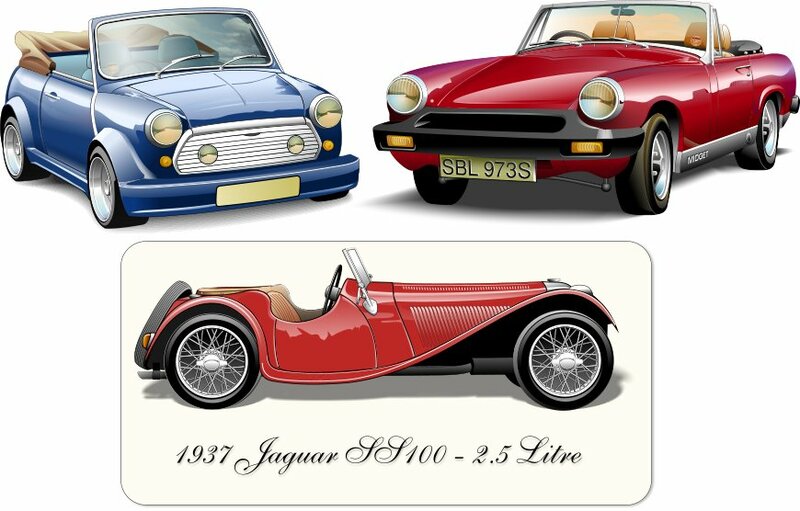 And even on his earliest drawings of the two cars, he added full tax disc details behind the windshield, that can only be seen at full zoom. (These drawings are in the Clipart Gallery if you want to look at the detail). 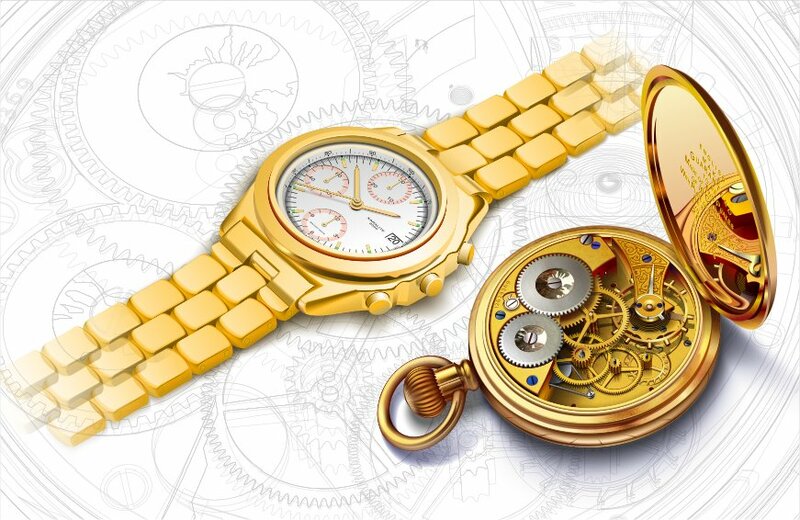 The watch drawings exemplify his meticulous attention to detail - again you only really appreciate the detail and degree of accuracy, beyond that most other Xara artists, by zooming into these watch designs. 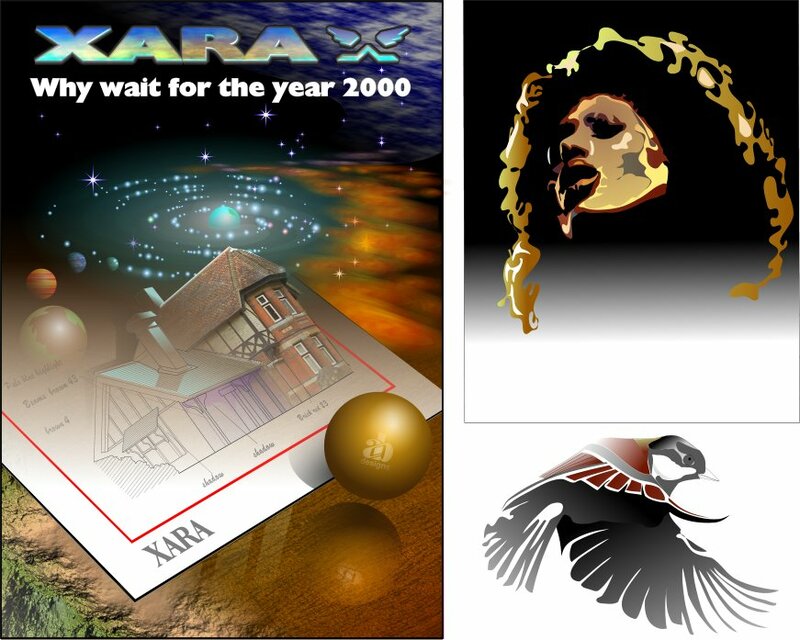 Again both drawings are in the 'Example Xara Xtreme drawing' clipart gallery sections. The last images are lesser known examples of his. The drawing of the house (it's the entrance lodge house of Gaddesden Place) was meant to illustrate that Xara was great for combined vector drawing / photo composition work, as well as being able to create swirly, very un-vector like effects that he used around the house.